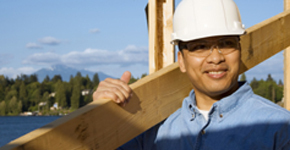 Whether you plan to build, remodel or add-on, your home improvement project may require the services of a contractor. Your project may cost thousands of dollars, so choosing a qualified contractor is very important. Occasionally, disputes between contractors and customers emerge due to construction defects, billing disputes, liens, or other issues. It is important to note that state law primarily recognizes these disputes as contractual issues best resolved through private legal action. The Attorney General is prohibited by law from acting as a private attorney on a complaint; however, we may choose to investigate or take action against businesses or individuals who have violated Washington State’s Consumer Protection Act. If you would like to file a complaint, please visit our complaint form.